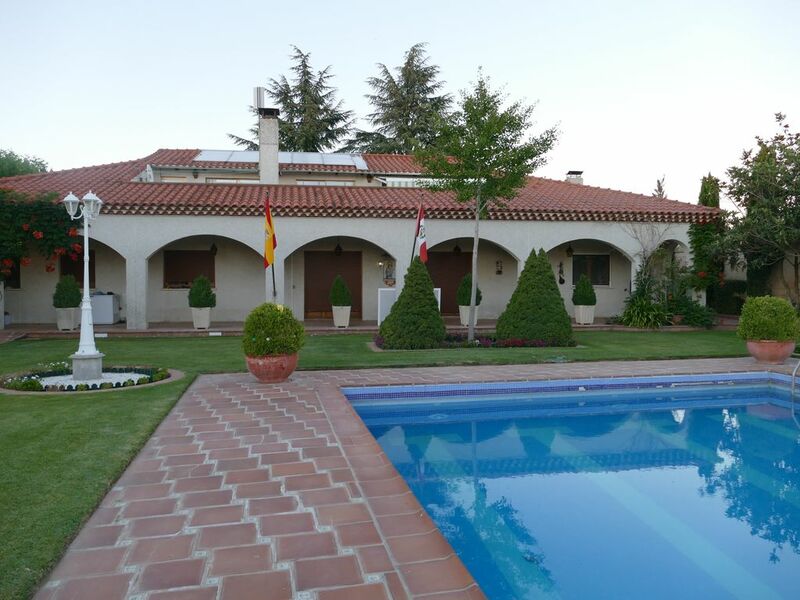 Villamercedes is located 2 km from Salamanca and 50 from Portugal. If you want to escape from the routine with your partner or friends or you are looking for a unique place for your celebrations, this is your place. Villamercedes is a small plot of 6000 m2 consisting of three buildings, gardens, playground and private pool. The buildings can be rented separately or together. Villamercedes I offers capacity for 10 people, while Villamercedes II is ideal for two couples and the studios (5) are individual for one person each. The winery offers all the essentials for celebrations with a maximum capacity of twenty-two people. Portugal is only 50km away. In 25 minutes you could be at his famous flea market. The complex has 3 different rooms. VILLAMERCEDES I is a beautiful and spacious country house with nearly 400 sq meters. Full luxury !. Private gardens (over 5,000sq m), swimming pool, trampoling and swings for your children. Wifi is provided around the house and gardens. The main house offers 3 double bedrooms with en-suite bathrooms, two single bedrooms and a large bedroom with two beds for children with toys to play with, (Max 10 people ). There is an extra bathroom and a huge living room (with tv) and kitchen with tv too. Guests have access to Villamercedes but please note that access to the second floor is restricted. Wifi en toda la propiedad.